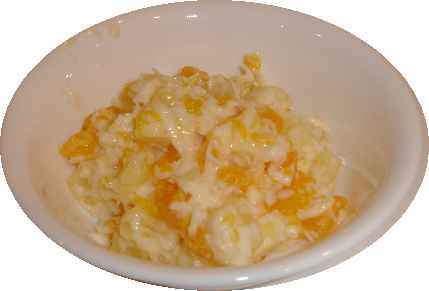 Ambrosia, literally "from the Greek "food of the gods" is a GREAT tasting dessert... and it can also be fast and easy to make AND healthy! Not possible, you say? 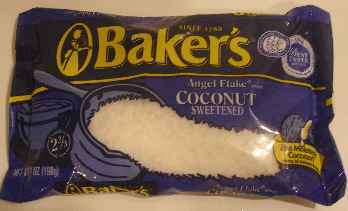 Ah, you must be in one of those parts of the country that still cooks with lard and adds sugar to everything! So you're accustomed to the sugar-laden recipe with marshmallows! Nope, this version tastes even better and is HEALTHIER! OK, here's the key to this Ambrosia recipe: I've replaced the marshmallows (or marshmellows, as some call them) with lowfat (or nonfat) yoghurt or fat free sour cream! Add peeled, sliced apples and you have a premium gourmet dessert... in 10 minutes! 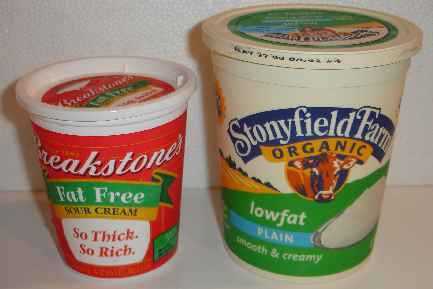 1/4 to 1/2 cup of either sour cream (I use fat free) or plain or vanilla yoghurt - OR - a combination of the two, as your prefer! 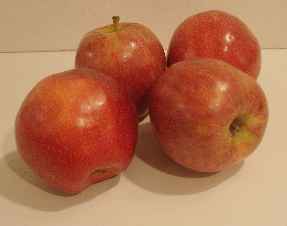 Peel 4 medium or 3 large sweet apples (Gala, Fuji, Red Delicious, Pink Lady, etc.). 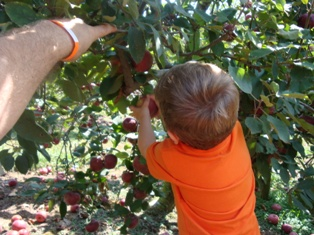 Core and then slice and dice them into small pieces (say 1/2 inch by 1/2 inch by 1/8th inch). 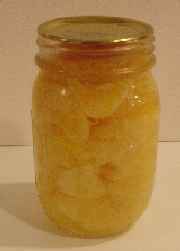 To the apples, add the drained mandarin orange segments (you may have canned you own as I did, when they were in season), the can of pineapple tidbits (or small chunks, also drained of liquids first) and the package of shredded coconut. Add the sour cream and/or yoghurt 1 tablespoon at a time, stirring after each, until there is just enough to coat the fruit. It really doesn't take much, just add to suit your tastes. Actually, Ambrosia's flavor improves after sitting in the refrigerator for a few hours or overnight! Now, you and your family or guests can enjoy a sweet, tasty dessert that is actually GOOD for you... and your waistline!